Over the past year, this topic has shown up in lots of other articles here at Sly Flourish and many of my DM tips on Twitter as well. For some, this seems completely obvious. For others, it can come as a surprise. This big tip? One might be surprised by the fact that some haven't read their D&D books all the way through. I admit, only recently have I finished reading them all the way through. That is not something I'm proud of. This isn't a tip just for new DMs. This is a tip for all of us. New or old. DMs or players. All of us can draw a great deal out of this game if we take the time to dig into our D&D books and enjoy what they have to offer. If you're new to D&D, start with the D&D Starter Set. The D&D Starter Set is the best way to get into D&D for a low cost and begin to digest what D&D has to offer. 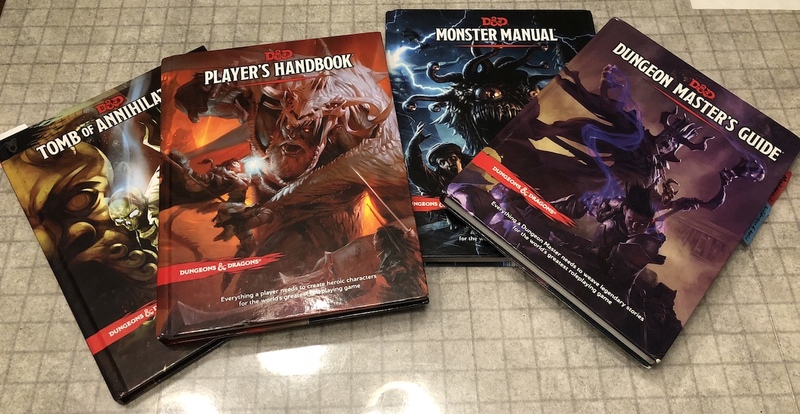 Instead of suddenly finding yourself with over a thousand pages of material from the Player's Handbook, Dungeon Master's Guide, and Monster Manual, the Starter Set comes with only two books. A main rulebook and the adventure Lost Mine of Phandelver. It also includes a set of pregen characters which means you don't have to suddenly know every ability of every race and class found in the Player's Handbook. The value of the Starter Set cannot be overstated. 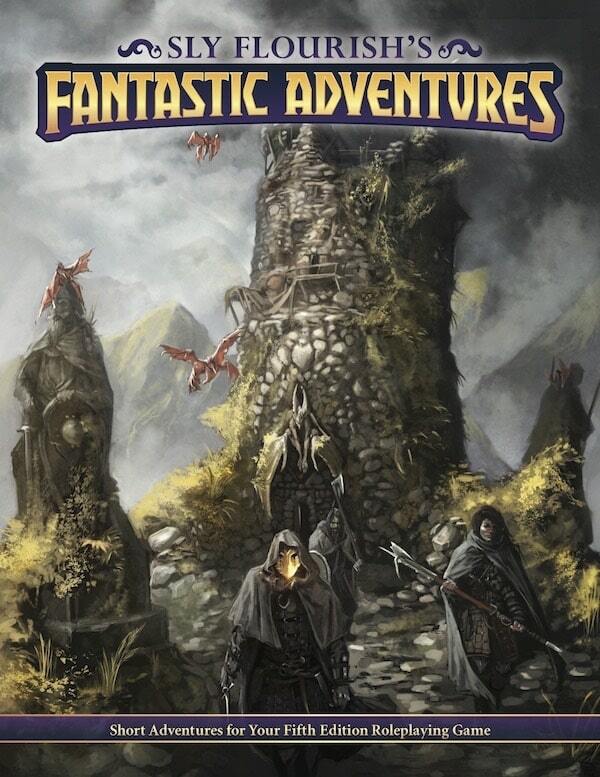 The adventure, as written, is awesome, but it also includes a great set of monsters that you can use for your own low-level adventures. The maps in Phandelver also span the range of maps you might drop into your own campaigns including a bandit lair, goblin caves, ruined castle, ruined village, and dwarven mines. These maps are reskinnable for your own adventures as you need them. Because the Starter Set books are relatively slim, it won't take you forever to read them and understand how D&D works. Thus, when you begin, start with these books before trying to tackle the full set of core books. Player's Handbook. Read the intro, chapters 7, 8, 9, 10, and the appendicies. You can skip over the chapters on races, classes, backgrounds, equipment, customization options, and spells for now. They're definitely worth reading but your players can also dig into these chapters and tell you what you need to know to run a game. Again, you'll want to read these eventually. 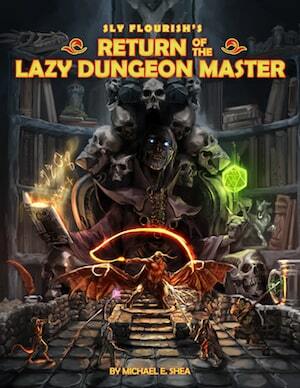 Dungeon Master's Guide. You'll want to give this whole book a solid skim read. You might not have to read it cover to cover right away but you should at least know what you have in your hands. There's tons of fantastic stuff in this book but it does you no good if you don't know that you have it. When you can, read it through. This is also a book worth re-reading every year or so to remind yourself what is in it. Many times you might think of an option or sub-system for running your game only to find that it's already in the DMG. Monster Manual. This book is also worth reading all the way through but you can focus primiarly on monsters you're likely to use in your campaign. Start with low challenge monsters and work your way up to the ones likely to show up in future adventures. The monster book is packed with awesome adventure and campaign hooks so worry less about the stat blocks and more on the lore of monsters. We can come up with hundreds of campaign ideas from this book alone. Volo's Guide to Monsters and Mordenkainen's Tome of Foes. When you're able, read these all the way through as well. Like the Monster Manual, they're packed with adventure and campaign ideas. Unlike the Monster Manual they spend lots of time focused on specific monsters like hags, mind flayers, beholders, and githyanki. Read them. Enjoy them. Let them seep into your DM's mind castle. Xanathar's Guide to Everything. Like the DMG, this book is packed with great ideas for DMs, both from a mechanics standpoint and from the lore of the game. In an episode of Dragon Talk, Jeremy Crawford mentioned that the design of spells in Xanathar's (and those in the Player's Handbook as well) are designed not just to give toys to players but for the DM to weave into the story. Spells like Druid's Grove and Mighty Fortress are as interesting to witness from powerful NPCs as they are when cast by a player character. 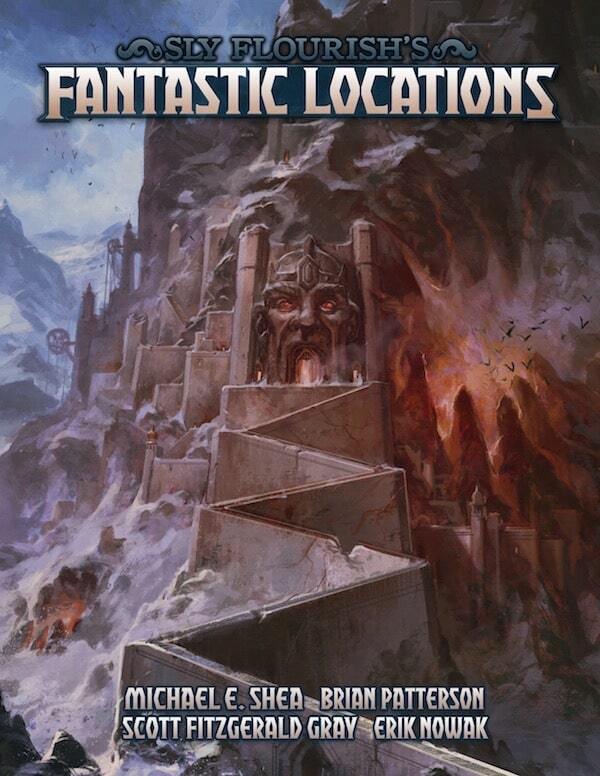 If you're running one of the published D&D adventures (Curse of Strahd and Tomb of Annihilation are my two favorites) it helps significantly to read through these adventures cover to cover before we run them. Reading the full adventure means knowing which secrets and clues to put in front of the players from session to session. It means knowing how to tie the adventures together. It helps inspire you to hack it yourself into the adventure you want it to be for you and your group. It takes time to read through a full published adventure but the return is worth the effort. 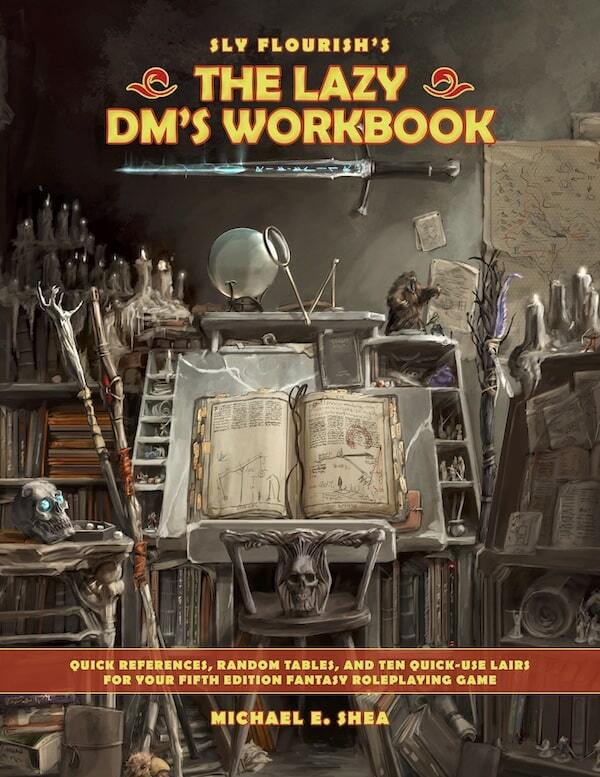 If you're playing D&D but you're not the DM, you're reading list isn't as large but can still give you a great deal of enjoyment out of the game if you take the time. Player's Handbook. Read the chapter on your race and your class. Read the spells your class has access to for level 1 and the next couple of levels above your current level. Take note of spell components and describe them when you're playing your character. If your race is one of the races from Volo's Guide or Mordenkainen's, it's worth digging deep into your race's background and history. Learning how the elves are connected to Corellon or how the halflings see their gods as extended family members with legendary exploits can enrich your character to the full. Players likely spend a lot of their time focused on the mechanics of their class but getting into the story and lore of their race, class, and background can make the whole game much more enjoyable. When we're digging into these books, our goal isn't to memorize every single rule in them. Our goal is to let the worlds of D&D flow over and through us so we can drop into it when we're running the game. That sounds pretty hippy but it works. The more we digest this game and the worlds it encapsulates, the easier it is to help us improvise when we're running our game and our ability to improvise may very well be the most important skill DMs can have. Even if it doesn't help us memorize every aspect of the game, reading through the books will let us know what's there so we know what we have and where to find it when we need it during the game. We don't read these books to memorize them. We read them to let them inspire us. Finding large solid blocks of time in our days is, for many of us, quite hard. Being able to sit on our nice couch with good lighting and read our books for a solid hour may be impossible for a lot of us. Yet, as busy as we are, we find time to surf through Facebook or get enraged by the news or get lost in cat mischief on Reddit. With D&D Beyond it's just as easy to read a bit of our core books as it is to read anything else on the web. Having the core books on our phones means we can read part of it whenever we have free moment. Keep your current book in your browser window and maybe skip the social media for a bit while you read up on Merfolk. Every monster description is about as long as a Facebook post already so it's not a stretch to read one monster block at a time all throughout the day. We DMs are often a super-creative bunch. D&D becomes our outlet to share the stories we've had bottled up in our heads all our lives. We're also likely to have a different game in our head than the ones in the books so we immediately want to start tweaking and twisting and cutting and pasting all sorts of new house rules. I see this come up often on Facebook: "What if we got rid of charisma scores?" or "I'm going to completely redo the fighter class" and the like. This isn't inherently bad but we should be cautious until we actually know what we're talking about. Of course, in our own games, we can experiment however we want but it helps if we actually know the rules before we break the rules. Before you start rebuilding your own fantastic 5e game, maybe read what the designers have put in there already. We're all about cutting corners here on Sly Flourish to get the most value out of our game for the least effort. Value, return over effort, is our ultimate goal. Reading over a thousand pages of rules isn't effortless. It takes a lot of time and a lot of work. Hopefully this article gave you an idea where to start. As much time as it takes, the value we gain by reading these books is well worth the effort. 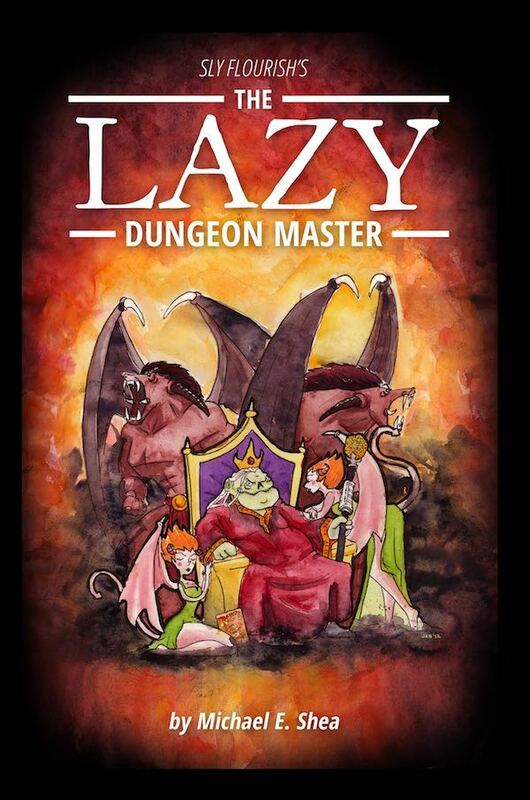 For that reason, reading the books is a core staple for the way of the Lazy Dungeon Master.